Soon after its creation, the Station developed a new, deadlier vision of bin Laden's activities. The CIA inaugurated a grand plan against al-Qaeda in 1999, but struggled to find the resources to implement it. Nevertheless, by 9/11 the Agency achieved almost complete reporting on the militants in Afghanistan, including bin Laden's inner circle itself. In 2000, a joint CIA-USAF project using Predator reconnaissance drones and following a program drawn up by the bin Laden Station produced probable sightings of the al-Qaeda leader in Afghanistan. Resumption of flights in 2001 was delayed by arguments over a missile-armed version of the aircraft. Only on September 4, 2001, was the go-ahead given for weapons-capable drones. The Station opened in January 1996, as a unit under the CTC. Scheuer set it up and headed it from that time until spring 1999. The Station was an interdisciplinary group, drawing on personnel from the CIA, FBI, NSA, DIA and elsewhere in the intelligence community. Formally known as the Bin Ladin Issue Station, it was codenamed Alec Station, after Michael Scheuer's son's name, as referred to by DIA's Able Danger liaison Anthony Shaffer. By 1999, the unit's staff had nicknamed themselves the "Manson Family", "because they had acquired a reputation for crazed alarmism about the rising al-Qaeda threat". Al-Fadl was persuaded to come to the United States by Jack Cloonan, an FBI special agent who had been seconded to the bin Laden Issue Station. There, from late 1996, under the protection of Cloonan and his colleagues, al-Fadl "provided a major breakthrough on the creation, character, direction and intentions of al Qaeda". "Bin Laden, the CIA now learned, had planned multiple terrorist operations and aspired to more"—including the acquisition of weapons-grade uranium. Another "walk-in" source (since identified as L'Houssaine Kherchtou) "corroborated" al-Fadl's claims. "By the summer of 1998", Scheuer later summed up, "we had accumulated an extraordinary array of information on [al-Qaeda] and its intentions." In May 1996, bin Laden moved from Sudan to Afghanistan. Scheuer saw the move as a (further) "stroke of luck". Though the CIA had virtually abandoned Afghanistan after the fall of the Soviet puppet regime in 1991, case officers had re-established some contacts while tracking down Kasi, the Pakistani gunman who had murdered two CIA employees in 1993. "One of the contacts was a group associated with particular tribes among Afghanistan's ethnic Pashtun community." The team, dubbed "TRODPINT" by the CIA, was provisioned with arms, equipment and cash by the CTC, and set up residence around Kandahar. Kasi was captured in June 1997. CTC chief Jeff O'Connell then "approved a plan to transfer the Afghans agent teams from the [CIA's] Kasi cell to the bin Laden unit". By autumn 1997, the Station had roughed out a plan for TRODPINT to capture bin Laden and hand him over for trial, either to the US or an Arab country. In early 1998 the Cabinet-level Principals Committee apparently gave their blessing, but the scheme was abandoned in the spring for fear of collateral fatalities during a capture attempt. In December 1998, CIA chief Tenet "declared war" on Osama bin Laden. (pp436–7;646, n.42)(p357) Early in 1999, Tenet "Ordered the CTC to begin a 'baseline' review of the CIA's operational strategy against bin Laden". In the spring he "demanded 'a new, comprehensive plan of attack' against bin Laden and his allies". The CTC produced a "comprehensive plan of attack" against bin Laden and "previewed the new strategy to senior CIA management by the end of July 1999. By mid-September, it had been briefed to CIA operational level personnel, and to [the] NSA [National Security Agency], the FBI, and other partners." The strategy "was called simply, 'the Plan'." 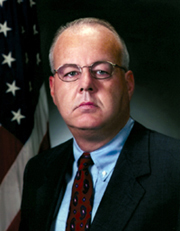 Once Cofer Black had finalized his operational plan in the fall of 1999 to go after al-Qa'ida, Allen [the associate deputy director of central intelligence for collection] created a dedicated al-Qa'ida cell with officers from across the intelligence community. This cell met daily, brought focus to penetrating the Afghan sanctuary, and ensured that collection initiatives were synchronized with operational plans. Allen met with [Tenet] on a weekly basis to review initiatives under way. His efforts were enabling operations and pursuing longer-range, innovative initiatives around the world against al-Qa'ida. At about this time the SOCOM-DIA operation Able Danger also identified a potential Qaeda unit, consisting of the future leading 9/11 hijackers Atta, al-Shehhi, al-Mihdhar and Nawaf al-Hazmi. It termed them the "Brooklyn cell", because of some associations with the New York district. Evidently at least some of the men were physically and legally present in the United States, since there was an ensuing legal tussle over the "right" of "quasi-citizens" not to be spied on. "[W]e've got to tell the Bureau about this. These guys clearly are bad. One of them, at least, has a multiple-entry visa to the U.S. We've got to tell the FBI." And then [the CIA officer] said to me, 'No, it's not the FBI's case, not the FBI's jurisdiction.' " Mark Rossini, "The Spy Factory"
The CIA tracked al-Hazmi and al-Mihdhar as they traveled to and attended the al-Qaeda summit in Kuala Lumpur during the first week of January 2000. "The Counterterrorist Center had briefed the CIA leadership on the gathering in Kuala Lumpur ... The head of the Bin Ladin unit [Richard] kept providing updates", unaware at first that the information was out-of-date. When two FBI agents assigned to the station, Mark Rossini and Doug Miller, learned that al-Hazmi and al-Mihdhar had entry visas to the United States, they attempted to alert the FBI. CIA officials in management positions over the FBI agents denied their request to pass along this information to FBI headquarters. Michael Scheuer would later deny this, instead blaming the FBI for not having a "useable computer system". There are also allegations that the CIA surveilled Mohamed Atta in Germany from the time he returned there in January/February 2000, until he left for the US in June 2000. Resumption of flights in 2001 was delayed by arguments over an armed Predator. A drone equipped with adapted "Hellfire" anti-tank missiles could be used to try to kill bin Laden and other Qaeda leaders. Cofer Black and the bin Laden unit were among the advocates. But there were both legal and technical issues. In the summer the CIA "conducted classified war games at Langley ... to see how its chain of command might responsibly oversee a flying robot that could shoot missiles at suspected terrorists"; a series of live-fire tests in the Nevada desert (involving a mockup of bin Laden's Tarnak residence) produced mixed results. Tenet advised cautiously on the matter at a meeting of the Cabinet-level Principals Committee on September 4, 2001. If the Cabinet wanted to empower the CIA to field a lethal drone, Tenet said, "they should do so with their eyes wide open, fully aware of the potential fallout if there were a controversial or mistaken strike". National Security Adviser Condoleezza Rice concluded that the armed Predator was required, but evidently not ready. It was agreed to recommend to the CIA to resume reconnaissance flights. The "previously reluctant" Tenet then ordered the Agency to do so. The CIA was now "authorized to deploy the system with weapons-capable aircraft, but for reconnaissance missions only", since the host nation (presumably Uzbekistan) "had not agreed to allow flights by weapons-carrying aircraft". Shortly after 9/11, Michael Scheuer came back to the Station as special adviser. He stayed until 2004. After 9/11, "Hendrik V.", and later "Marty M.", were chiefs of Alec Station's Bin Laden Unit. The Bin Laden Station was disbanded in late 2005. Bin Laden was eventually located in Abbottabad, Pakistan and killed by the United States Naval Special Warfare Development Group, commonly known as SEAL Team 6 in Operation Neptune Spear on May 2, 2011. ^ a b c d e f g h i j k l m Coll, Steve (2004). Ghost Wars. Penguin Books. ^ Inside Able Danger (Shaffer interview), Government Security News, August 2005. ^ Mayer, Jane (2008). The Dark Side. New York: Anchor Books. p. 116. ISBN 978-0307456298. ^ a b c Tenet, George (March 24, 2004). "Written Statement for the Record of the Director of Central Intelligence" (PDF). 9/11 Commission. ^ Marshall, Andrew (November 1, 1998). "Terror 'blowback' burns CIA". Independent (UK). ^ Tenet, George (2007). At the Center of the Storm: My Years at the CIA. HarperCollins. p. 120. ISBN 9780061147784. ^ Gellman, Barton (January 20, 2002). "A Strategy's Cautious Evolution". Washington Post. ^ Julian Borger, "We could have stopped him", The Guardian (UK), August 20, 2004. ^ Tenet, At The Center Of The Storm, p. 232. ^ Mazzetti, Mark (July 4, 2006). "C.I.A. Closes Unit Focused on Capture of bin Laden". New York Times. Retrieved August 21, 2007. The Central Intelligence Agency has closed a unit that for a decade had the mission of hunting Osama bin Laden and his top lieutenants, intelligence officials confirmed Monday. The unit, known as Alec Station, was disbanded late last year and its analysts reassigned within the C.I.A. Counterterrorist Center, the officials said. ^ Miller, Greg (May 5, 2011). "CIA spied on bin Laden from safe house". The Washington Post. Retrieved May 6, 2011.